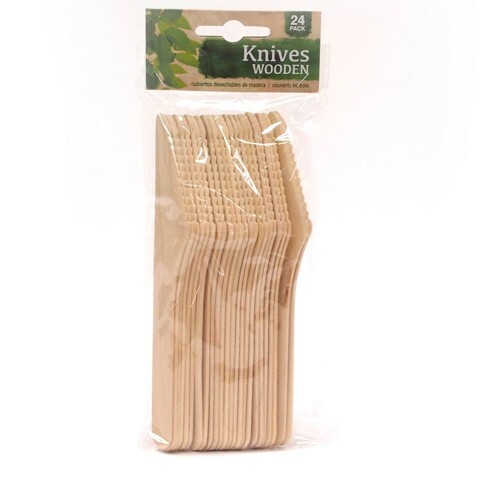 Disposable Knives Enviro 24Pk. 17.5cm x 1.7mm. Natural Timber. White Birch Wood. 67G Packaging: Header Card with OPP Bag.